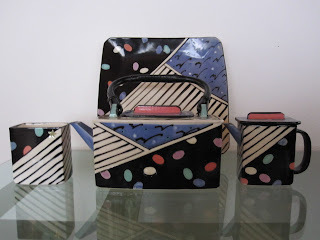 Hand Made Porcelain in Hafner Studios, NYC 1981-1991 this Tea Set titled "Fireflies, Jelly Beans and Arthur Murray Dance Steps" is pictured here with a matching plate. The Tea Pot measures 9" Long by 3.5" Deep by 8.5" Tall with the Handle. 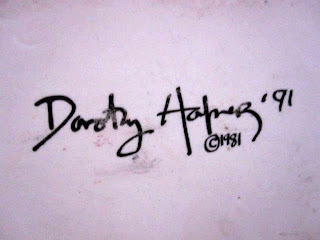 The set is in museum quality condition and was secured directly from Dorothy Hafner. 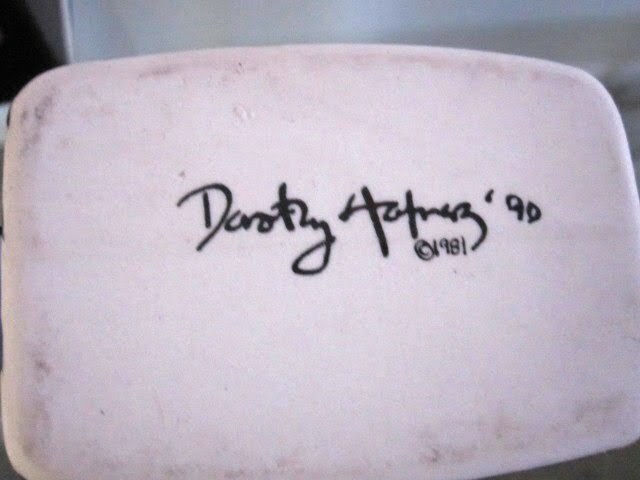 Knowing that this was one of the last Tea Sets that she created in the series it is a wonderful addition to any 80s showcase...even if it is signed 1991! The underside of the Tea Pot is signed 1991 in ink and faintly inscribed in the porcelain. The photo below shows the ink signature on the underside of the Tea Pot. The underside of the Sugar is signed and dated 1991 in ink and is inscribed in the porcelain. The photo below shows both signatures on the underside of the Sugar. 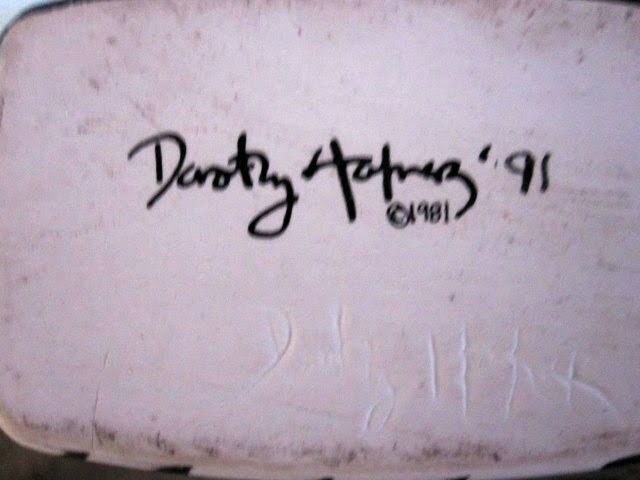 The underside of the Creamer is signed and dated 1990 in ink as can be seen in the photo below. This set is available for $950. 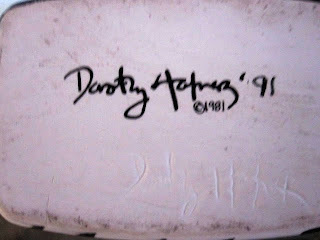 Please email the80sgallery@yahoo.com for addition information or purchase requests. Love Living in the 80s! We are an online gallery that specializes in original 1980's art and design items, including original illustration art, jewelry designs from The Memphis Group, designer furniture and other decorative items from the 80's.